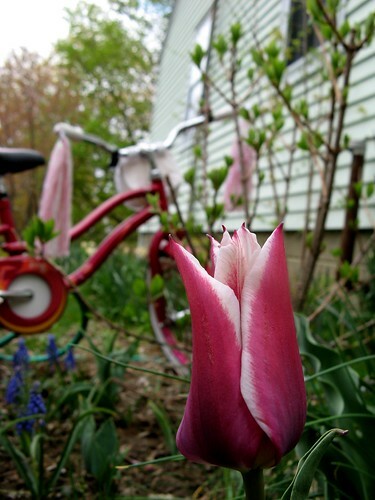 pink tulip and bike, originally uploaded by jahansell. I said I wouldn't overdo the flowers... but I like the matching pinks of this photo! I'm spending a lot of time in the garden, and a lot more on bikes too!